The East-West standoff over the Ukraine crisis has brought the threat of nuclear war in Europe closer than at any time since the 1980s…. said Igor Ivanov, Russia’s foreign minister from 1998 to 2004 and now head of a Moscow-based think-tank founded by the Russian government. 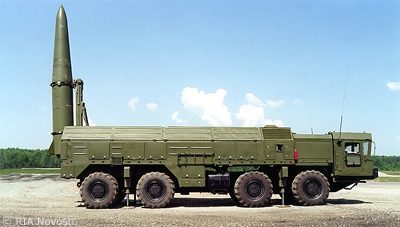 … Russia and the United States have cut their nuclear arsenals [but] the pace is slowing. As of January 2015, they had just over 7,000 nuclear warheads each, about 90 percent of world stocks …. * * * NATO’s secretary general Jens Stoltenberg has warned Russia of intimidating its neighbors with talk about nuclear weapons, publicly voicing concerns among Western officials.